Weight Training for Old Guys takes you on a comprehensive, light-hearted fitness journey and incorporates both traditional and little-known Olympic Weight Lifting training methods that guarantee that no bully will ever kick sand in your face again! 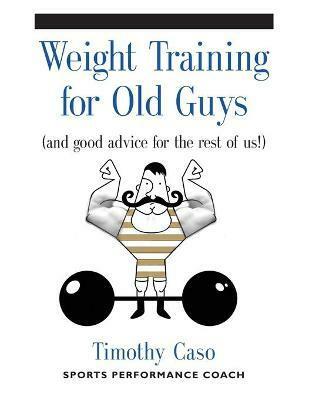 Written in layman’s terms, Weight Training for Old Guys is a comprehensive how-to guide that enlightens and entertains the reader. It reveals trade secrets on how to build muscle mass, transform physiques, and how to remain injury-free. The book has a strong, detailed focus on proper weight lifting techniques, discusses gym equipment necessities, warm-up routines, workouts for readers of all fitness levels, and exercise variations that keep the body continually challenged. Filled with detailed instructions and illustrations, Weight Training for Old Guys should be every man’s companion bench side at the gym.